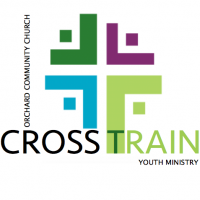 CROSSTRAIN youth ministry is for youth in Junior High grades 6-8 and Senior High grades 9-12. We meet in the Youth Room every Friday 7 - 9:30 pm, during the school year, for Bible study, prayer, and activities. Pastor Al leads the group and they use the curriculum This Changes Everything: How the gospel transforms the teen years. Other activities take place throughout the year, so refer to the calendar for youth special events.